collected these stories about the life of a real dog in Western Australia. They are all true stories - some are funny, some are sad, but all are unforgettable. Everybody should have a friend like Red Dog. Red Dog was a Red Cloud kelpie, an Australian sheepdog. His life was full of excitement and adventure. He travelled all over Western Australia, and never really had an owner. But he had many, many friends, and he always knew where to go for a good meal. 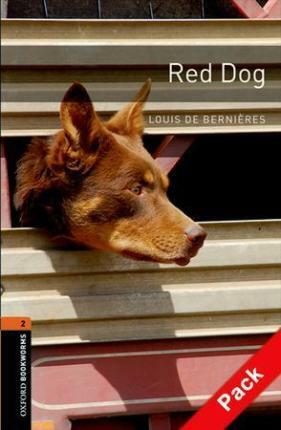 Louis de Bernieres collected these stories about the life of a real dog in Western Australia. They are all true stories - some are funny, some are sad, but all are unforgettable. Everybody should have a friend like Red Dog. Louis de Bernières, geb. 1954 in London, wuchs im Nahen Osten auf. Nach Lehr- und Wanderjahren in Lateinamerika lebt er heute als Schriftsteller in London.